Tax planning is often painful and can be an intimidating experience. The exercise, however, is quite rewarding because at the end of the process you become educated about taxes and are able to save money because you pay taxes more efficiently. No matter your income level or amount of taxes you pay, the decision to itemize your deductions rather than take the standard deduction when paying your federal income tax changes over time. Available tax credits for child care and first-time homeowners are valuable in the early years of starting a family and acquiring assets while capital gains and gift taxes become more important later in life. A tax plan is an analysis of an individual’s financial situation from a tax perspective. The idea behind tax planning is to minimize taxes on things like estates, gifts, and income to permit individuals to use their money more efficiently for their current and future needs. The information provided below is a general guide and is not providing legal, financial, or tax advice. To analyze your financial situation from a tax perspective, contact the tax planning lawyers at Massey, Stotser & Nichols, P.C., in Southeastern Alabama to schedule a consultation. The three main taxes that people analyze are the income tax, the federal state tax, and the gift tax. Some of these taxes, like the estate and gift tax, overlap with estate planning. In those circumstances, the analysis has to do with an individual’s needs post retirement and distribution of assets upon death more so than tax treatment because of the composition of families or the needs of other family members that require special care. 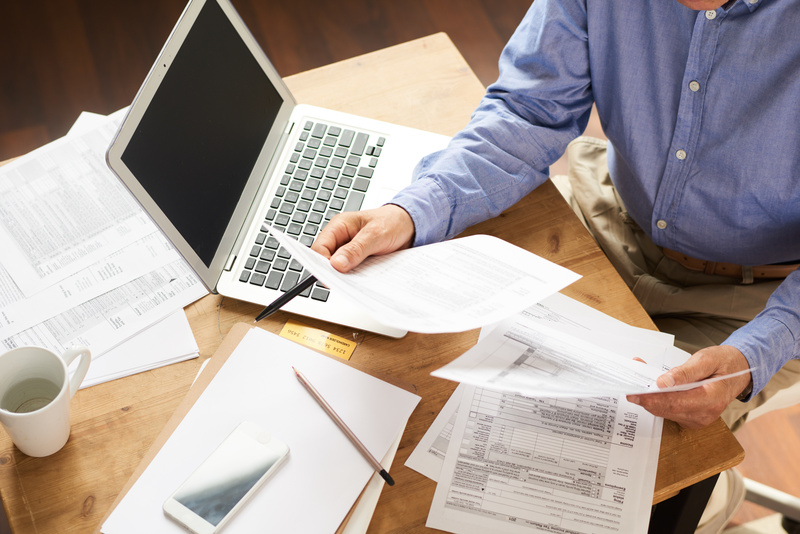 There are three categories of taxes that are reviewed and analyzed when tax planning. They are income, gift, and estate taxes. The tax planning lawyers in Southeastern Alabama assist clients with their tax planning needs. In addition to setting up individual tax plans, they attorneys at Massey, Stotser & Nichols, P.C., prepare clients to manage their financial decisions better. Most people are familiar with the income tax. The income tax is a tax levied by the government directly on income earned by people or businesses, including corporations. Income is earned through work, interest on investments, interest on bank accounts, stock dividends, pensions, and retirement and trust distributions. Individuals pay Alabama state taxes and federal income taxes. When considering giving a substantial gift to someone else you should know that there is a gift tax rate and gift tax owed on the gift if it exceeds a certain dollar amount. Money is not the only thing taxed. An antique is appraised and a monetary value is assigned to it and this value determines if a tax is owed. Both Alabama and the federal taxing authorities levy a gift tax on all gifts over a certain amount of money. Individuals can provide lifetime gifts to loved one without paying taxes on the gifts subject to an annual limit and lifetime cap. The lifetime gifts also have the effect of reducing an estate and lowering the estate tax. In Alabama, there is no estate tax nor inheritance tax. An estate tax is a tax paid by the estate of the deceased person; while an inheritance tax is a tax paid by a beneficiary of a gift from an estate. Alabama residents however, may be subject to federal estate taxes. The federal estate tax is a tax levied on the property transferred from the estate to the beneficiaries pursuant to the deceased person’s last will and testament or Alabama’s intestacy laws for individuals who pass without a will. Asset protection planning is a way to protect your assets from creditors in the event you are sued in the future. It allows you to create financial instruments like an IRA, irrevocable trusts and use limited liability companies and family limited partnerships to keep your assets protected from potential creditors. The tax planning lawyers in Southeastern Alabama assist clients with their tax planning needs by analyzing their financial situations and recommending tax strategies to pay taxes more efficiently. In addition to setting up tax plans, they attorneys at Massey, Stotser & Nichols, P.C., also help clients through asset protection planning and business succession planning. Serving Birmingham and Jefferson, Blount, Shelby, St. Clair, and Tuscaloosa counties, visit our website at msnattorneys.com for more information about our tax planning, elder law, business law, family law, and accident and injury law practice groups. DO YOU NEED HELP WITH REAL ESTATE LAW?